The oldest gothic cemetery in the world, West Norwood, launches a new outdoor art project with 21 artists in one of London’s finest graveyards. Using sound, sculpture, ceramics, poetry, textiles and photography, artists create works to link their own specialism to the south London site. Jane Wildgoose will create an installation in the Maddick Mausoleum, working with the historic archives held at the cemetery, and poet Chris McCabe will create a work that invites the audience to collect text from around the site and create their own poems in response. Meanwhile landscape designer Jane Brockbank will be bringing her unique Flower Theatre to the cemetery, celebrating the use of flowers as symbols of life and mortality. 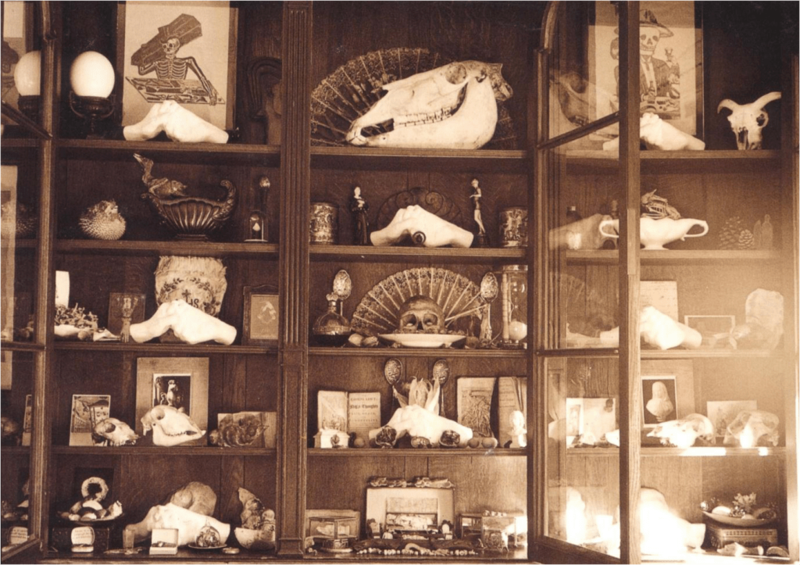 The artworks also uncover aspects such as natural history, different cultural groups and themes of mourning, loss and afterlife. The architectural and overgrown areas of the cemetery are used to theatrical effect, with mausoleum doors becoming spaces for artists Jane Ward and Andrea Thoma to experiment with landscape and tromp l’oeil. Based in West Norwood, Mylands are the oldest manufacturers of paint in London, and their new range ‘Colours of London’ will be showcased in a specially commissioned work by recent graduate Xanthus Andrews. The common grave area is celebrated by historian Dr Ruth Richardson, with A Grand Picnic For the Common Dead on Sunday 21st July, a free event with performance, music, poetry, feasting and a spontaneous installation to remember the hidden histories of working class Victorians. Other pieces include ceramic work referencing the connection of Sir Henry Doulton to the cemetery, and a pedal-powered Victorian train carriage for visitor rides around the site. On Saturday 6th July, London Dreamtime (storyteller Vanessa Woolf and musician Nigel of Bermondsey) will curate a magical evening of live music, performance and art, from 7.30pm to 10pm; tickets cost £10. The Curious Art Trail is part of a major investment in West Norwood by the Mayor’s Outer London Fund, which is helping increase the vibrancy and growth of high street places across London. 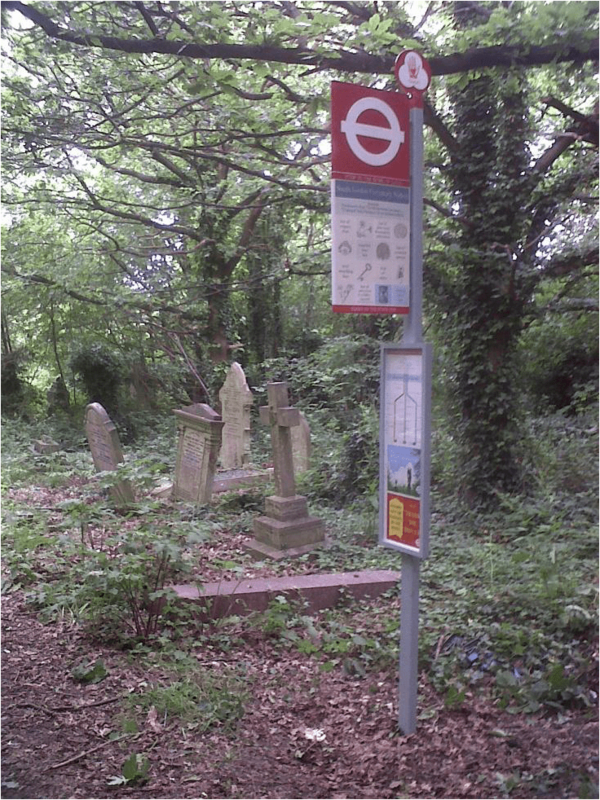 A Site-Specific Art trail at West Norwood Cemetery runs from 22nd June – 28th July 2013 and is curated by Jane Millar. DATES: 22nd June to 28th July 2013, open daily 9am-6pm. HOW TO GET THERE: Buses 68, 2, 432, 196, 322. I’ll have to check this out – I help run a blog and we aim to visit all seven of the Magnificent Seven, West Norwood’s one we’ll be posting about shortly. great, thanks for the comment. we’ll look forward to hearing more about the Magnificent Seven!